The lovely Kaffe Fassett (ably assisted by the very charming Brandon Mably) delivered a stimulating talk with beautiful photos to accompany. They also brought along several of the original quilts featured in his books - a few even from the Simple Shapes book I received for Christmas from my Mum & Dad. One of the beautiful display quilts. Tonight's lecture is one of the highlights of my quilting journey thus far. He is the most generous man, giving of his time to answer questions, his good humour at some of the questions and his willingness to completely share his experience and knowledge. The Brick quilt from the Simple Shapes book. Kaffe especially struck a chord with me toward the end of the lecture, discussing the creating process that he goes through. He said he has confused many people in the past who have tried to document or asked him to document his process. Essentially he follows an organic process by which he follows wherever his creative energies take him, putting down and picking up projects as well as having many projects (about six he said) on the go at any one time. I loved the fact that someone as revered as Kaffe Fassett had the guts to say this - as it's exactly as I work, if I'm bogged down in a project I have learnt not to plow on through as the results are not always the best. Another display quilt - to be shown in an upcoming book. The other idea that he spoke of was that of beauty in imperfection. Quilts don't have to be perfect, seams don't really have to line up and lines don't always have to be straight. Obviously if perfect quilting is the style of quilting that floats your boat then by all means go for it. But if you are like me and struggle to make all the seams line up - don't stress about it - just go for it. I love this free-thinking, liberated way of quilting and creating. The man himself - signing my book. Two special inscriptions in my book. Even the professionals carry around a bit of craft in their bags! Kaffe signing his V&A book for my Mum. After the talk Kaffe patiently signed autographs and answered questions (including a bunch from me!). For those of you who are wondering - the name Kaffe (pronounced Kay-fe) is from an Egyptian childrens story. A little bit of post-lecture retail therapy - thanks Mum! Glad you went, he is a great person and it is so true enjoy making quilts and not worry about every seam. I have seen to many people being put off by remarks that there seam aren't matching or this or that. 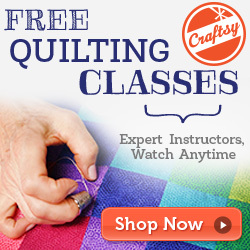 Just enjoy the making of your quilts and the quilts. thanks for your comments ladies, it was fun. and I loved that even my Mum was really fired up afterwards! So glad you got to meet him.....I love his work so much and would love to meet him some day.....I have some of his books and one is in german!...could not find it in english. (Caravan of Quilts) maybe some day I will find a copy in english so I can make the quilts....love your fabric.